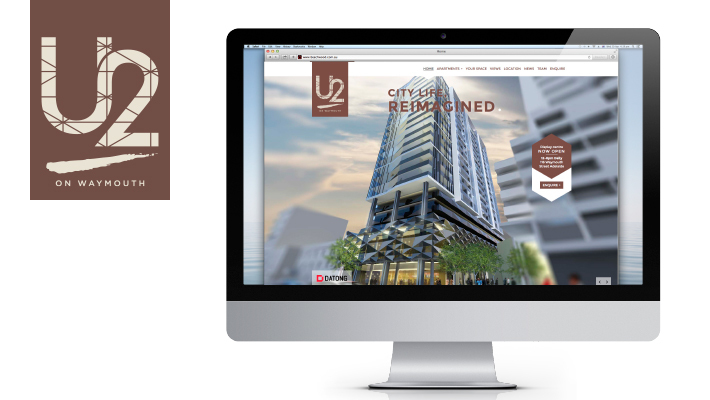 We're currently working with Datong Australia on the development of a branding strategy for their latest residential apartment development, U2 on Waymouth. We have already implemented the brand identity, logo design, including a sales brochure, signage, and public relations activities, to increase awareness of the unique lifestyle U2 on Waymouth will provide, and in the coming months will be working with Datong on a media strategy to further promote this exciting development. At a whopping 1100sqm, U2 on Waymouth will feature the largest common public areas of any residential development in South Australia, and brings a little piece of New York to Adelaide apartment living through innovative floor plans and custom-built furniture that works to maximise living areas.